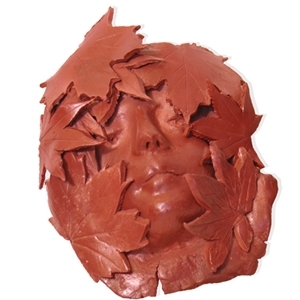 Self-hardening clay, also known as air-dried or non-firing clay, is a direct modeling material that cures naturally and does not require mold making and casting to achieve a finished piece. 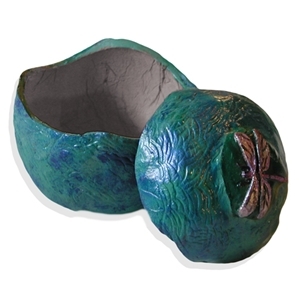 In addition, this modeling clay does not need to be fired in a kiln. 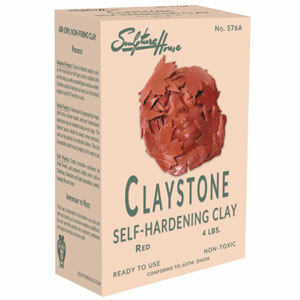 There are three basic types of self-hardening clay. 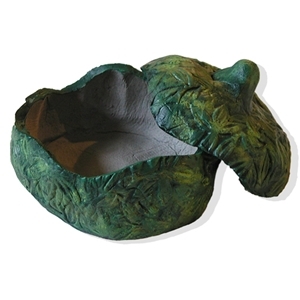 The first type, Claystone®, works like Plastilina and is usually used over an internal armature for support. 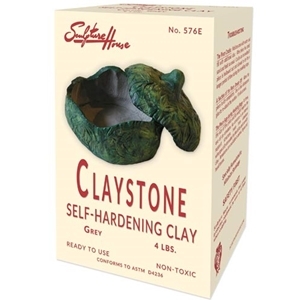 Claystone® can be worked indefinitely while moist. The second type of air-hardening clay, Boneware, is used for solid, direct modeling that in essence will be supported by its own bulk. Boneware will remain soft and pliable as long as it is moistened with water and overlaid with a damp cloth when not in use. 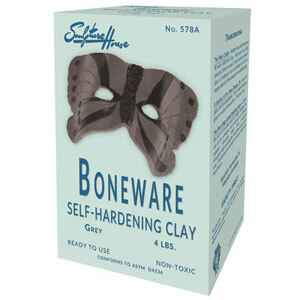 Boneware contains a natural hardener, but not fiber, to reduce shrinkage and will generally feel and react more like ceramic clay to the touch and in workability. Another type of self-hardening modeling material can be either air-dried or oven-baked to give it more durability. 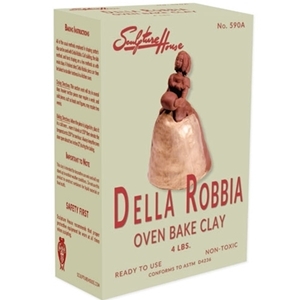 Sculpture House offers Della Robbia, its own brand of this type of air-hardening clay. 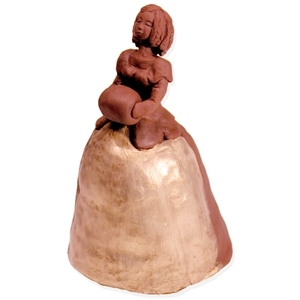 Pieces made from these clays are for display only; that is, they cannot be used to sculpt functional pieces and should not be left out in the elements. They are porous and cannot hold liquids unless its inside surface has been thoroughly sealed. After the finished piece has air dried and been sealed, it can be decorated for display by using a variety of paints, stains or dyes.